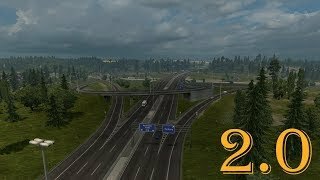 This mod removes old ugly intersection at Rotterdam~Brussel A1 Highway with Calais Duisburg road junction and it places hand made, brand new and better intersection. This map mod is not dependent on map DLCs. It can be played with NO DLCs or with every DLCs. – Fixed misplaced elevated navigation sign from Duisburg to Calais direction. – Fixed ugly median metal barriers with concrete barriers. This mod removes old ugly intersection at Rotterdam~Brussel A1 Highway with Calais Duisburg road junction and it places hand made, brand new and better intersection. This map mod is not dependent on map DLCs. It can be played with NO DLCs or with every DLCs. 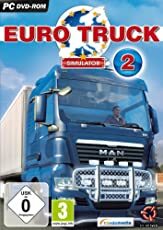 This mod is not compatible with ProMods map and any other map mods that require ProMods to play with.